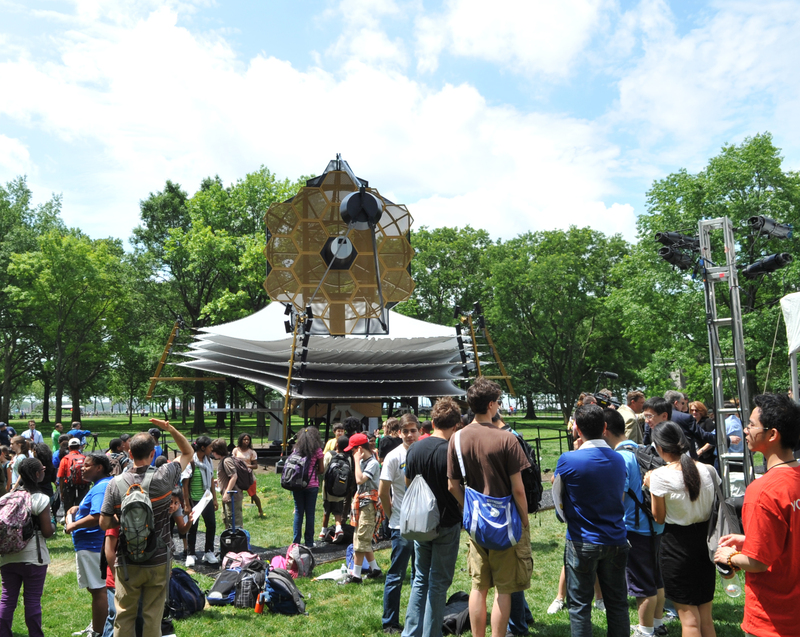 NEW YORK, June 1, 2010 -- Opening ceremonies of the World Science Festival kicked off today in front of a full-scale model of the James Webb Space Telescope in Battery Park. Northrop Grumman Corporation (NYSE:NOC) is NASA's prime contractor for the design and development of the Webb Telescope. "The Webb telescope will be NASA's flagship astrophysics observatory. 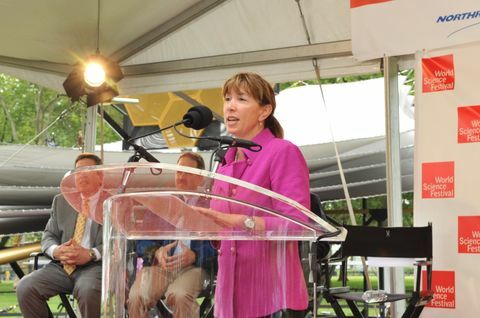 When launched and operating, I expect the knowledge gained from Webb to expand the frontiers of science and re-write science textbooks for the next generation," noted NASA Deputy Administrator Lori Garver. "New York City has often been at the forefront for design and engineering, its buildings, subways, parks and bridges setting the standards for much of the world," said Robert Burke, vice president of civil and military systems for Northrop Grumman Aerospace Systems. "In this vein, the Webb telescope is unlike anything ever built. Its development and manufacturing pushes the boundaries of our engineering ability." A featured attraction of the World Science Festival, an annual event that brings together great minds in science, business, government, and the arts, the Webb Telescope model will be on display from June 1-June 6. The public is invited to view the model, talk to experts about the world's largest space telescope and the discoveries it will make, participate in hands-on educational activities and build Webb telescope models with Lego® blocks. More information about the Webb telescope at the World Science Festival is available at http://www.northropgrumman.com/jwst_2010/ and on Northrop Grumman's or Twitter page, http://twitter.com/northropgrumman . The Webb telescope, designed to succeed the Hubble Space Telescope, will be NASA's premier space observatory. It will travel almost a million miles from Earth into deep space to look back some 13 billion years ago in time, capturing infrared images of every phase of our cosmic history – from the first luminous objects to the birth of stars, assembly of galaxies and formation of planetary systems. The Webb telescope is currently being built by Northrop Grumman and its teammates under contract to NASA's Goddard Space Flight Center in Greenbelt, Md. The Northrop Grumman team, including Ball Aerospace, ITT and ATK, has invented new design, manufacturing and optical technologies to construct the first deployable telescope ever to fly in space. It features an ultra-light weight 6.5-meter (21-feet) diameter primary mirror and a huge, five-layer sunshield to shield its infrared instruments from radiant heat.